4. Wade on Birmingham - A look at one of the city's biggest barriers to progress: groups working separately rather than together. 5. 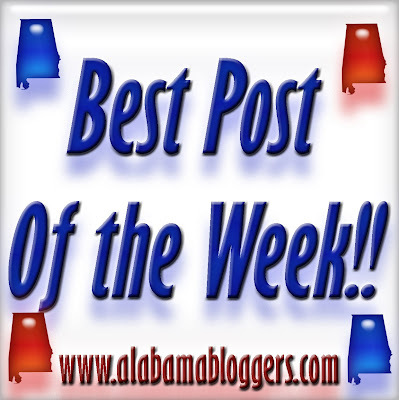 Birmingham Blogging Academy - Three Alabama Bloggers -- Rachel, Rhoda and Valerie -- share their worst blog troll stories and how they dealt with them. Hey, it is just my opinion. shared a post about making a sofa slipcover (I have 3 young kiddos) and making a pillow for it out of a hand towel I found at Target for 1.48. Riveting, right? This week's posts feature camping stories, Spring party tips, recipes, blog linkage and a fun date... and randomness. Always randomness. Blogged about a big guy on a little hike in Gatlinburg. Hope you enjoy my ramblings.